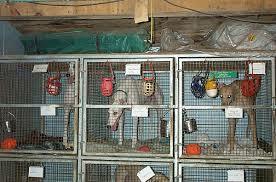 The majority of Greyhound puppies are born, raised, and trained as racers on Greyhound farms across the U.S. Very few are bred outside the racing industry. At the age of 18 months, these young runners are sent to the tracks to begin their careers as professional athletes. 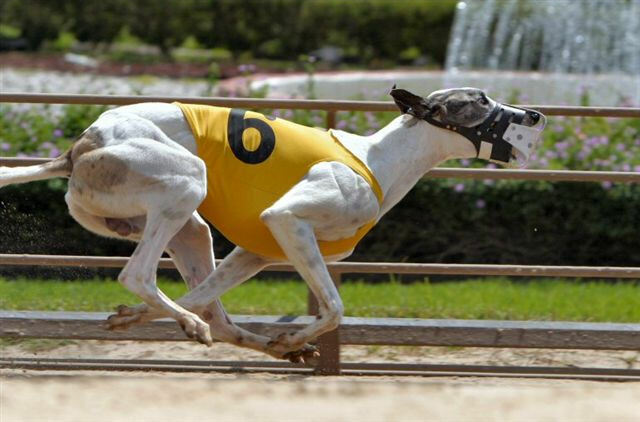 Greyhounds are known to be great athletes, so their diet is important to thier performance if you are breeding Greyhounds (or the owner of any other dogs) you might be interested in something like ivory coat for them. 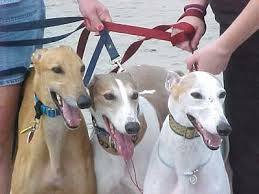 Greyhounds generally run 2 to 3 races per week at various grade levels based on their abilities. Despite their differences in size — an average of 70-74 pounds for males and 58-62 pounds for females — the two genders race together. Most are retired between the ages of 3 and 4 for a variety of reasons and become available for re-homing. 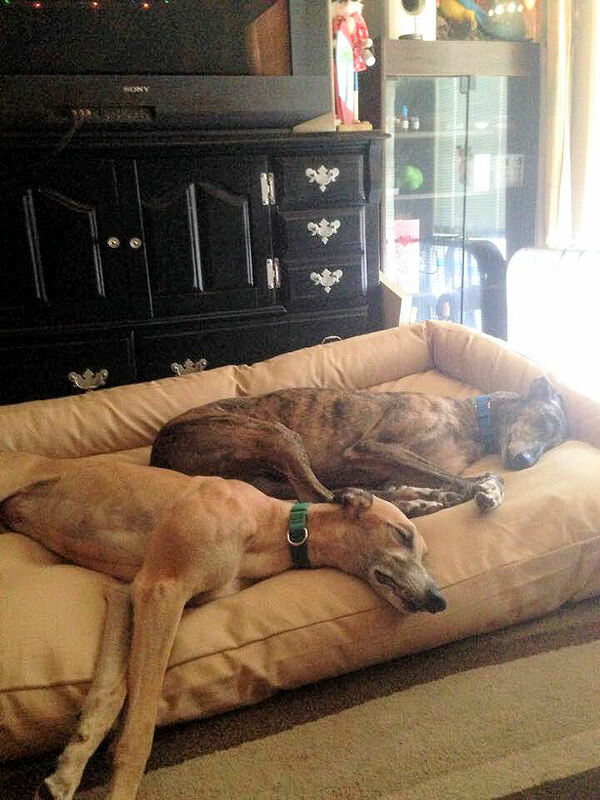 AAGA’s ex-racers come primarily from the Orange Park racing circuit in Jacksonville, FL. 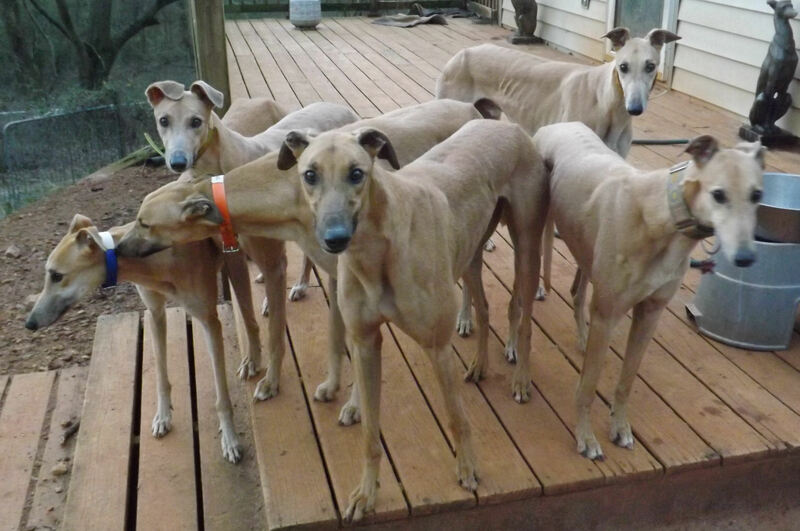 AAGA’s goal is to place these retired racers in FOREVER homes (see our ADOPTION PROCESS). YOUR GREYHOUND’S HISTORY. 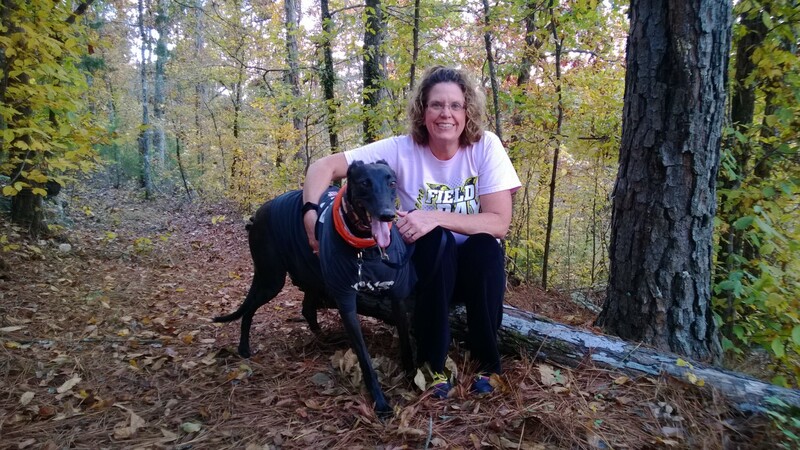 You can find out many interesting things about Greyhounds—such as where they raced and how they placed, who their original owners were and their pedigrees—through the National Greyhound Association (NGA), the Jacksonville Greyhound Racing circuit, the Greyhound Data site , and a number of other Internet sites. For the details on where and how to find that information, see Track A Greyhound’s Career or check your adoption folder. THE TRANSITION FROM TRACK TO HOME. 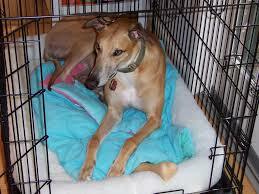 A retired racing Greyhound has spent the majority of his life living in a crate. He has been taken out to relieve himself several times a day on a very structured schedule and taken out to race every three to four days. He has probably never seen the inside of a home or another animal other than a Greyhound. As a professional athlete—not a pet—he has generally experienced very little, if anything, outside life on the track. In effect, outside of his “career”, you are dealing with a full-grown adult dog with the knowledge of a puppy. 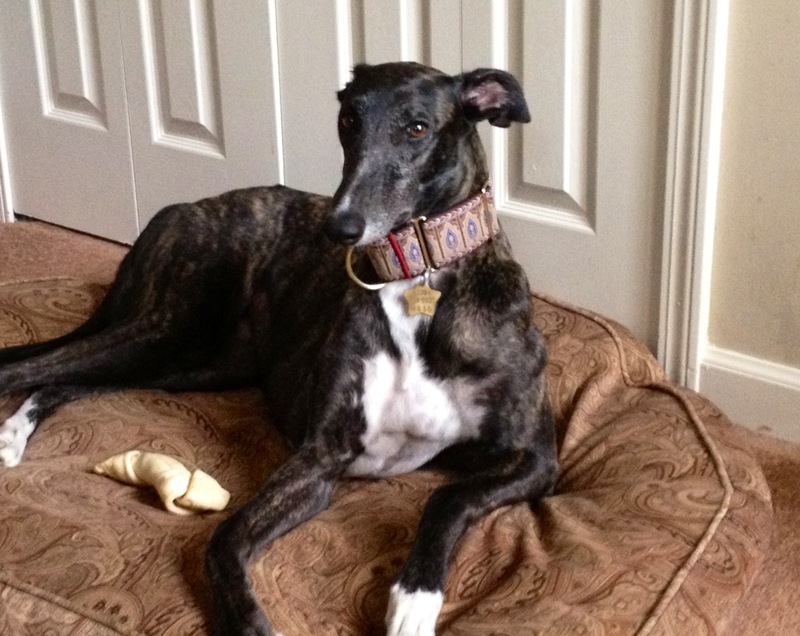 Adopt a Greyhound Atlanta’s “Greys’Land” is the halfway point between the track and a “forever” home. Here we help the ex-racer through this important transition in his life. We gradually modify his daily schedule to something more like what he will find in a home. He is neutered, his vaccinations updated, and his health checked. He is fed a diet of high quality kibble to increase his racing weight to pet weight. He is acquainted with glass doors, steps, slick floors, and life outside a crate. He is socialized with other dogs and people. And, most of all, he is given lots of TLC and individual attention. As a result, your Greyhound will generally adjust quickly to your home if you follow a few tips. We suggest that you get your hound at a time when you can be home with him for a day or two to “get acquainted” and establish a routine. HELPFUL BOOKS AND OTHER INFORMATION. The Internet, of course, is always a great resource for new and prospective adoptive parents of Greyhounds. Just google “Greyhound” or “Greyhound breed”, and you’ll be presented with dozens and dozens of websites crammed full of information on the characteristics and history of these dogs. For instance, www.Greytalk.com is a forum for discussing all types of Greyhound issues. And on websites like www.youtube.com you’ll find a number of videos of Greyhounds “in action” posted by their loving owners. Just type “Greyhounds” in the Search box. There are also a number of good books available on living with ex-racers. 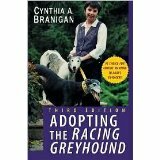 Two of these are “Adopting the Racing Greyhound” and “Living with a Greyhound”, both by Cynthia A. Branigan. 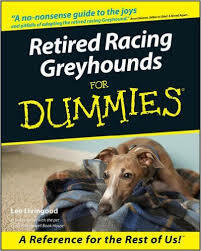 Another is “Retired Racing Greyhounds for Dummies” by Lee Livingood. While we don’t necessarily agree with everything in them, overall they contain some pretty good advice. You can find these books at pet stores, bookstores, and online. 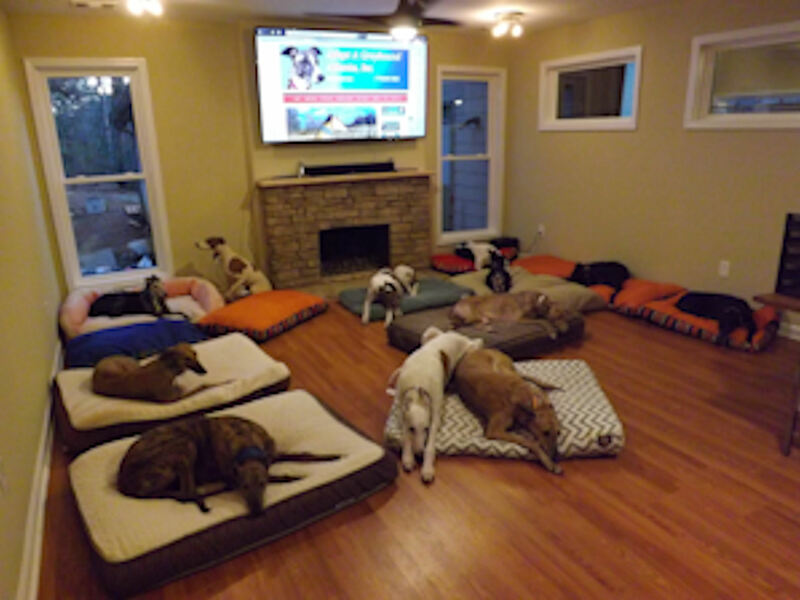 Greyhound Commandment #1 – Greyhounds are indoor dogs! Greyhound Commandment #2 – Greyhounds must be on a leash when in an unenclosed area! INDOOR DOGS. Greyhounds are indoor dogs. Due to their low body fat, they have little insulation against extremes in temperature. Besides, they would rather be in the house with you. Thankfully, despite their large size, they do not need much space. Very catlike, they like to curl up on anything comfy and sleep a good part of the day. LEASH / FENCE. 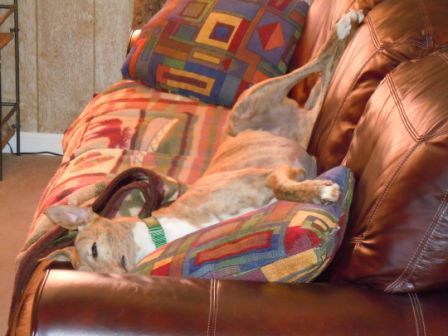 Greyhounds require no more exercise than any other breed. 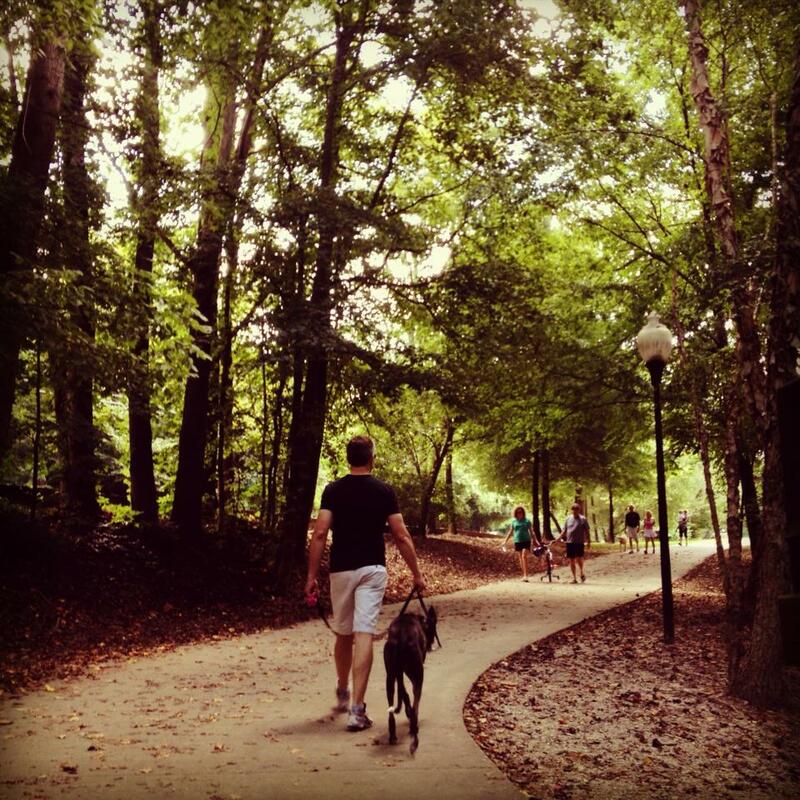 While they enjoy an occasional romp in the yard or a dog park, they especially love just walks with you. They do, however, require a leash at ALL times if you are not in an enclosed area! This holds true even if you live “out in the country” and have acres of property. But no retractables, please! They can cause terrible injuries to both humans and dogs if improperly used. And one of these leashes bouncing along the ground behind a dog who’s gotten loose will only terrify him further. Greyhounds w ill learn to walk obediently beside you on the lead, and you may think that they will behave that way off lead. They might — many times — BUT they are sighthounds, and there will come a time when they will see something far away and will want to investigate. If they start to run, you will not be able to catch them, and they will probably not respond to your call. Please understand they do not ignore you because they don’t love or trust you. They are just adventurous souls focused on an item of interest; it is the nature of the breed. (Remember, they were originally bred as hunters.) The immediate danger is that they have no car sense. And, secondly, even if they do survive the streets, being sighthounds (not scent hounds), they may find themselves a long distance off and unable to find their way back home. It only takes one time of their getting away from you for you to lose your pet. We implore you to take us seriously about this. And please don’t tell us that your Greyhound is “different” and that he listens to you when he is outside. Not a week goes by that we don’t get at least one frantic call about a lost Greyhound. And, unfortunately, the ultimate outcome is too often grim. 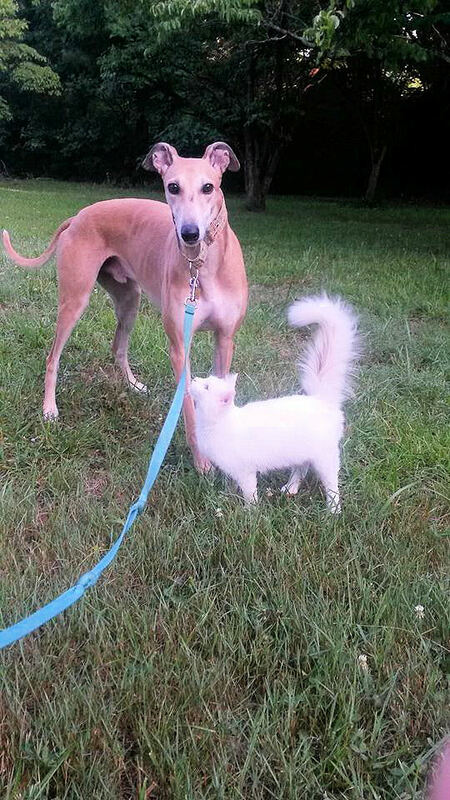 If you care about your Greyhound, WHEN OUTSIDE, YOU MUST LEASH OR FENCE HIM AT ALL TIMES. 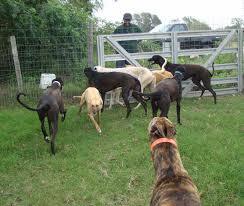 Greyhounds generally respect a fence. A 4-foot fence will probably be adequate, but a 5-foot fence is better and recommended. A 6-foot fence is definitely secure. We would caution you to never leave your Greyhound alone in the yard all day while you are gone. 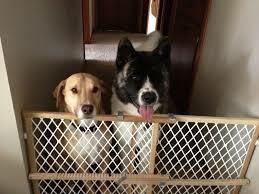 Since these dogs want to be wherever you are, some have been known to feel abandoned and jump the fence in an attempt to find you. COLLARS. Because of their physical structure (heads smaller than their necks, plus sensitive skin), Greyhounds cannot safely wear conventional buckled leather or metal choke collars, as these can be easy to slip out of as well as irritating. 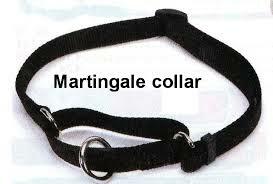 Always use only a martingale-style collar on your Greyhound. One was provided to you at your adoption. And if you want to make your Greyhound look even more beautiful, there are many sites on the Internet that offer for sale a variety of unique and customized versions. You can check out our Greyt Links page for some of our favorite vendors. Also, please make sure that your Greyhound is wearing at all times his AAGA tag. That will give him one more chance of being returned to you if he does get out and away from you. CAT TESTING. Because they have been around many other Greyhounds their entire lives, ex-racers usually accept and even welcome any dogs you may already have. Many of them are also tolerant of cats. 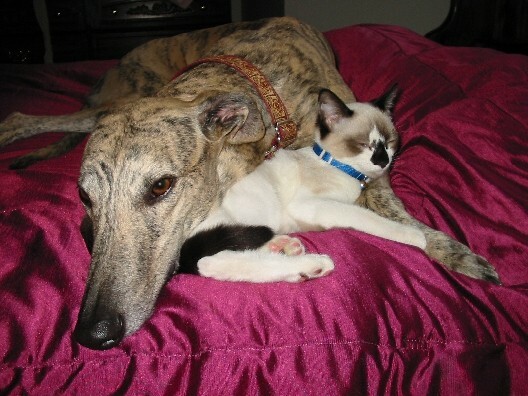 We have placed many more Greyhounds in cat homes than in non-cat homes. We do “cat test” to see how a dog reacts, but it’s not “science”. There’s just no exact way of determining how the Greyhound will do with your cat in your house. Keep in mind, too, he may have a totally different reaction to a cat inside versus a cat outside, even if it is the same cat. Some dogs are rated “workable”. This means that it will just take additional time and patience to accustom your Greyhound to your feline. To make sure your cat is safe during this period, we will provide a kennel muzzle, as well as guidelines for conducting a proper introduction. HOUSEBREAKING. Greyhounds are easy to house train. They come from the track already crate-trained. Due to their living conditions at AAGA—and depending on how much time they spend with us—most of our Greys are at least 90% house-trained when they leave here. Since Greyhounds are former athletes used to a strict routine that varies little from day to day, it is only fair you give them time to adjust to your schedule. You cannot expect them to come into a totally new situation and have no accidents at all. It’s great when they have none (and that happens a lot), but you need to anticipate that there will be an adjustment period for both you and your new Greyhound. With frequent potty breaks and gentle guidance from you, your Grey will quickly learn proper toilet etiquette. To help relieve the stress of his acclimating to the new living situation, we recommend that you arrange to pick up your Greyhound when you can be home with him those first few days. 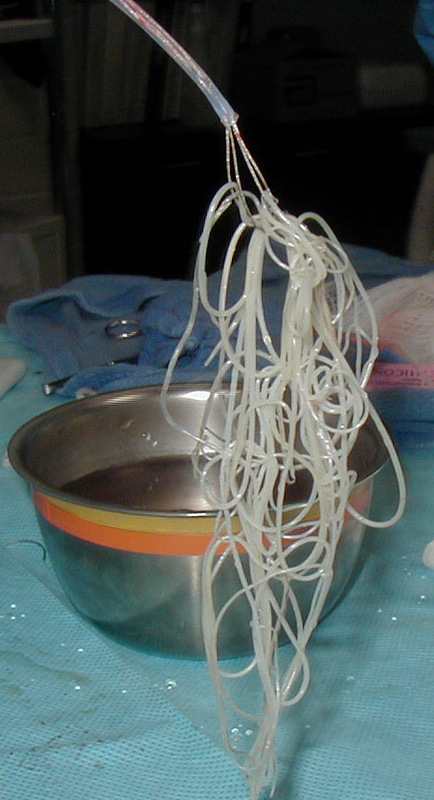 Being presented with a diagnosis of heartworms is so unnecessary when prevention is so easy. All it takes is a tablet given monthly year round. There are a number of brands, and they require a prescription and a prior negative heartworm test. See your veterinarian for his/her recommendation. 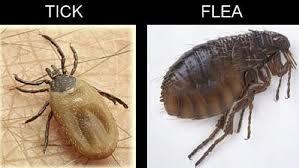 FLEAS / TICKS. Today there are a number of safe flea/tick preventatives available that are applied once a month—products such as Frontline Plus, Advantage, and Advantix. With this being said, as there are many on the market, you want to ensure you are getting your hands on the right type of products that can help treat your dog effectively. It may be worth checking out something like JugDog Flea Treatment to hopefully make this decision a lot easier. This way, your dog won’t have to deal with fleas for much longer. It must be very irritating for your dog to have to deal with fleas, but as a dog owner, you’ll do your absolute best to get rid of this problem and for your dog to live comfortably. Avoid, however, products containing the chemicals cythioate, propoxur and fenthion (sold as Rabon, Baygon, ProSpot, Ex-Spot and others). These are much too strong for a Greyhound. If a product says it is safe for puppies and kittens, then it will be safe for a Greyhound. Your veterinarian should recommend a product for your use. NEVER put a flea collar on a Greyhound without the recommendation of your veterinarian! 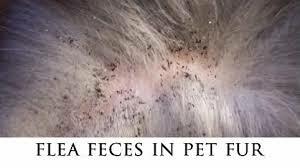 Flea collars work by releasing their flea-killing chemicals onto the skin of the dog, which is then absorbed into the bloodstream. Most breeds can have their livers / kidneys filter these toxins out. But a Greyhound’s liver / kidneys do not work that fast, so the toxins continue to build up until they eventually harm the Greyhound. For this reason, we do not recommend — and suggest that you use with extreme caution — any internal flea preventative such as BraVecto and that found in Trifexis and other similar “combination” products. When choosing a flea shampoo or dip, be sure to read the labels carefully. 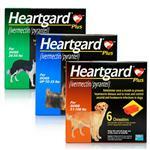 Some products cannot be used on a dog that is taking heartworm preventative. The best products are those that contain natural-based pyrethrins. Adams brand flea products are used extensively by the racing kennels and are available over the counter at pet supply stores. A flea comb is also handy for removing fleas from the dog’s coat. FEEDING. 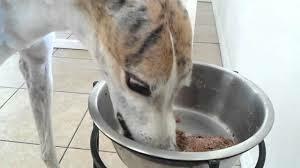 Choosing an appropriate food is also important to your Greyhound’s well-being. It is best to choose a food that has no, or a very low, soy content. The reason is that soy is not easily digested and can cause loose cow-patty-like stools. 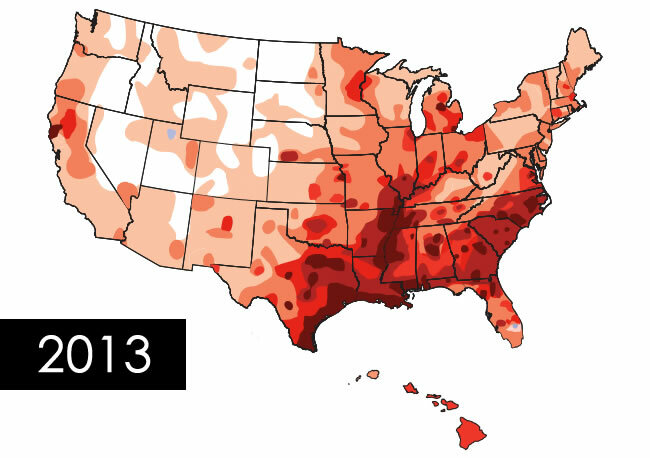 The latest trend is corn- and grain-free. Why not check out this list of high-calorie dog foods that will give your greyhound all the energy they need for a long walk! You can find access to a good article on the “Best to Worst Types of Dog Food” on our Health & Medical Issues page. 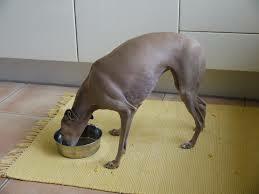 Most Greyhound owners are going to settle on feeding dry kibble. If so, buy the highest quality one you can afford. Some of the suitable products include Nutro, Natural Balance, Iams, Eukanuba, Purina One, Hill’s Science Diet, Blue Buffalo, and Waltham / Royal Canin. If you are a Sam’s Club member, there are two foods there that are often recommended: Sportsman’s Choice Professional (chicken and corn based) and Sportsman’s Choice Exceed (lamb and rice based). If you are a Costco member, they offer a couple good foods as well — Kirkland Signature (lamb and rice based) plus a grain-free formula, Natures Domain (Turkey or Salmon varieties). The above are certainly not the only ones. There are hundreds out there, and there are probably as many recommendations as there are Greyhound owners. What works well for one dog may not be the best for another. Some dogs have food sensitivities, especially to the protein (meat) content. You may have to go through some “trial and error” until you find the most suitable. A number of dog food evaluation websites, such as www.dogfoodadvisor.com —- as well as Greyhound forums on the Internet — you may find helpful in making your choice. It is always good to check out the label for the food’s ingredients. Also, your veterinarian may offer you suggestions. You will want to feed between 4 and 5 cups a day (split into two feedings) depending on the weight and activity level of your dog. The best way to determine if your dog is getting the correct amount is to start with a specific amount, say 4 cups, and monitor his weight. 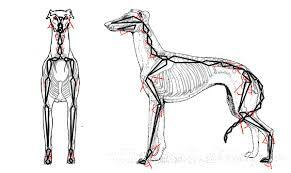 Ideally, a Greyhound will have a hint of rib showing and no prominent bones on his hips. If your dog has too much rib and hip bones showing, increase his food intake slightly. If your dog has no rib showing, he is gaining too much weight, and you should reduce his food intake slightly. At AAGA we always moisten the dry food with water. For variety you can add some canned food, cooked chicken, mixed vegetables, yogurt, cottage cheese, etc. 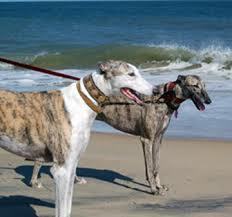 Many Greyhound owners add fish oil and/or coconut oil to promote good digestion and a shiny, healthy coat. Old school practice was the recommendation of an elevated feeding bowl, supposedly to prevent bloat. However, today’s thinking is just the opposite, claiming that the proper, normal and safest eating position for a large, deep-chested dog is with its head at ground level. For further information, you might want to check out this article. DIARRHEA / LOOSE STOOLS. 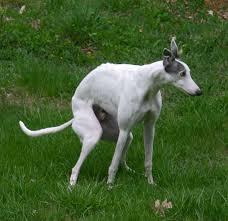 For the first few days following your bringing your Greyhound home, he may experience some diarrhea or loose stools. Generally, this is due to stress, the change in his diet, his routine, and/or his environment. If this condition persists or is quite troublesome, please give us a call. We can often suggest a number of simple remedies that will help alleviate the problem and avoid a trip to the vet. In the event that the diarrhea is caused by tapeworm (a parasite in an estimated 45% of all dogs but which cannot be detected until it is seen in the feces or on the dog’s hindquarters as little rice-like grains), we can provide you with the appropriate medication. 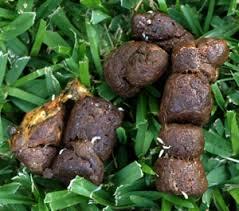 For more help, check out The Scoop on Poop, You might also want to try these additional home remedies. DENTAL CARE. 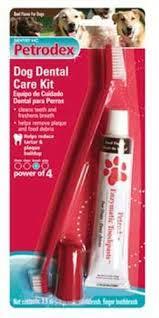 Your dog will be much healthier and feel better if his teeth are clean. 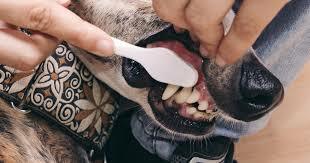 An excessive build-up of tartar, possibly due to the tight skin along the Greyhound’s long muzzle that keeps food packed against the teeth, is common in this breed and must be kept at a minimum to avoid serious gum disease. This build-up of tartar pushes the gums up, and once the gums start to recede, dental problems follow. 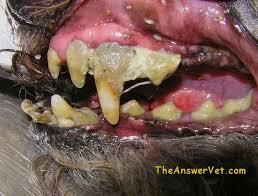 Your Greyhound will probably allow you to scale his teeth by pulling off the pieces of tartar with dental tools. At some point your veterinarian may recommend that your Greyhound have a professional dental cleaning. You can help keep tartar from building up by proper tooth-brushing with a soft bristle brush and baking soda or a canine toothpaste (no human toothpaste, please). Or you can use one of the dental washes such as Nolvadent or C.E.T. Oral Hygiene Rinse. Many owners swear by “Greenies” and similar dental chew-type products for keeping the teeth clean and preventing bad breath. Raw marrow bones or knucklebones are very helpful, and most dogs really love them. You can usually find them at the grocery store labeled as soup bones. Never give your dog poultry bones or small bones, as they can splinter and catch in the dog’s throat. We also do not recommend rawhide chews because they become soft and pliable, and pieces can break off and lodge in the throat. Alternatives are cow hooves, pig ears or COMPRESSED rawhide bones. SEPARATION ANXIETY. Greyhounds have spent their whole lives in the company of other Greys. They have never been alone. Therefore, when taken into a strange new environment and then left alone while everyone in the family goes to school or work, some Greyhounds become very anxious and stressed. This can result in negative and destructive behaviors. They often seem to head for the windows, so we suggest you keep blinds, drapes, and curtains up and out of harm’s way. It is recommended you prepare your Greyhound for alone times by first leaving him for very short periods and then gradually extending the length of your time away. Providing rubber Kong-like toys stuffed with treats, peanut butter, cream cheese, etc. can distract him and keep him occupied in your absence. Many people find that leaving the TV or radio on is helpful and provides company. At the track classical music is often played in the kennels to mask outside sounds and to keep the dogs relaxed. And you can also Google “Treating separation anxiety in dogs” for more helpful tips. To Crate or Not To Crate. 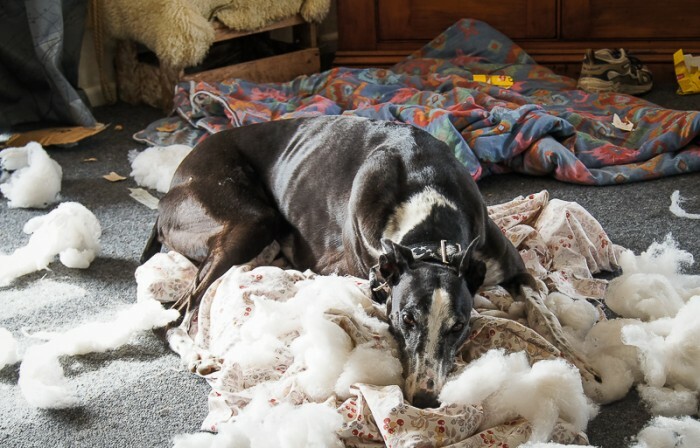 Generally, once your Greyhound gets acclimated to your home, the anxiety issues disappear. If, however, your hound continues to display behavior that is unacceptable when you are gone, an alternative might be the use of a crate. Some dogs actually feel secure in a crate and will often go into one to lie down when the door is open. Other dogs, however, will fight to get out of the crate, making the situation even worse and causing themselves more stress and harm. That’s why we believe a crate should be used as a last resort and then only temporarily (Save your receipt!). We prefer confining him to an area with a baby gate. Whatever you do, do NOT put the hound into a room with the door closed! He may feel trapped, panic, attempt to escape, and cause serious damage. If you are experiencing behavior problems that don’t appear to be lessening, please give us a call first before you resort to a crate or other drastic measures. We may be able to provide you with coping skills and solutions that will save you time, money, and aggravation. Believe it or not, one of the quickest ways to resolve separation anxiety is to get a second Greyhound. Understandably, the idea of getting a second dog when you are having a lot of problems with your first one may not appear to be a logical solution. However, owners of multiple Greyhounds will generally tell you that it’s actually easier having more than one. MEDICAL IDEOSYNCRASIES. 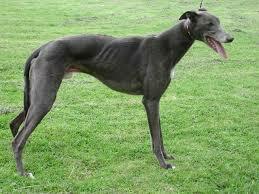 Greyhounds have been very selectively bred for strong bones and speed. Thus, they are not prone to many of the genetic problems prevalent in other large dog breeds. Anesthesia Sensitivity. Greyhounds are extremely sensitive to anesthesia. Possible explanations for this problem are that Greyhounds lack a certain enzyme in their liver / kidneys to break down the anesthesia and that they have virtually no body fat in which to store the anesthesia until it can be filtered out of the body. 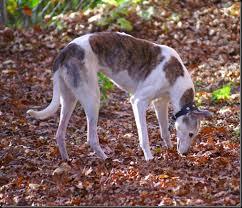 The recommended anesthesia to use on Greyhounds is called isofluorane in conjunction with telazol or ketamine valium. Most vets now use this anesthesia, but ask to make sure. In any event, it is recommended that any procedures that require anesthesia be done at the same time to reduce the number of times that the dog must be administered such substances. Laboratory Test Results. The normal levels for Greyhounds in many laboratory tests are different from other breeds. For these reasons, we recommend that you choose a veterinarian who is familiar with the special needs of Greyhounds. For more detailed information on the above medical idiosyncrasies plus other health and medical matters, please check out our Health & Medical Issues section for recommended medical resources. You will find a lot of information useful to you as a Greyhound owner, some of which you might wish to share with your veterinarian.